Killer Characters: This movie has me Beat! This movie has me Beat! Hollywood isn't much for realism or moralism. The only "ism" Hollywood believes in is plagiarism. 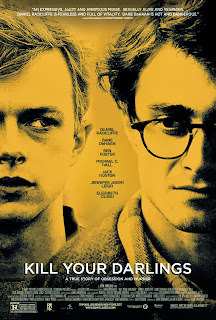 A new film is coming out now called Kill Your Darlings. (What a coincidence! I know of a very entertaining book that came out not too long ago called Murder Your Darlings.) This new movie is about a murder among a group of New York writers and intellectuals. Again, an amazing coincidence! Because the book I just mentioned was also about a murder among a group of New York writers and intellectuals—and featured yours truly (as one of the writers, dear, not one of the intellectuals). The movie is about writers (Jack Kerouac, Allen Ginsberg, William S. Burroughs, and the like) who eventually become the Beat Generation—a school of writing hopped up coffee, drugs and hipster jazz music. I envy the generation its pleasure in its music. And that is all I envy it. Life is serious enough—there's no need to Beat us over the head with it. Laugh with me, if you agree. 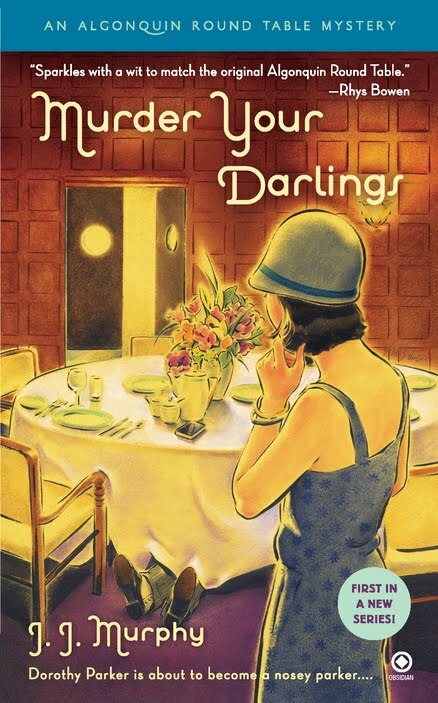 Dorothy Parker currently appears in A FRIENDLY GAME OF MURDER, the third book of the Algonquin Round Table Mystery series, available in print and e-book. Willow, I'll drink to that! Dorothy, you are undoubtedly more clever and fun, and probably have a superior sense of fashion as well. Though I must say that I suspect you would have enjoyed having a wizard in your group. He might have gotten you out of a few sticky situations.